This quick set up tent is perfect for any DIY event. You can pick this tent up yourself at our warehouse. Must be returned clean and dry to redeem the $25 cleaning deposit. Delivery, set up & take down services available for an additional fee, please let us know if you are interested in this service when you place your order. 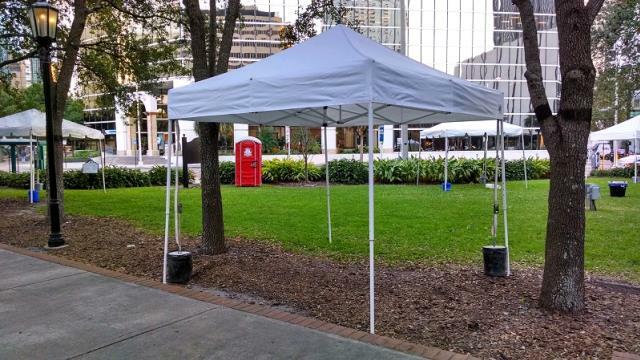 * Please call us for any questions on our canopy 10x10 pop up in St Petersburg FL, serving Clearwater, Gulfport, Pinellas Park and the Tampa Bay Area.